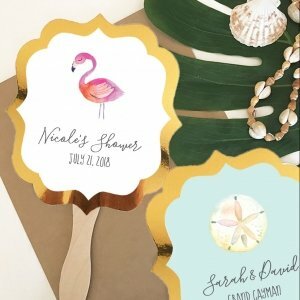 What could be a more perfect tropical wedding favor than Personalized Tropical Beach Gold Paddle Fans? 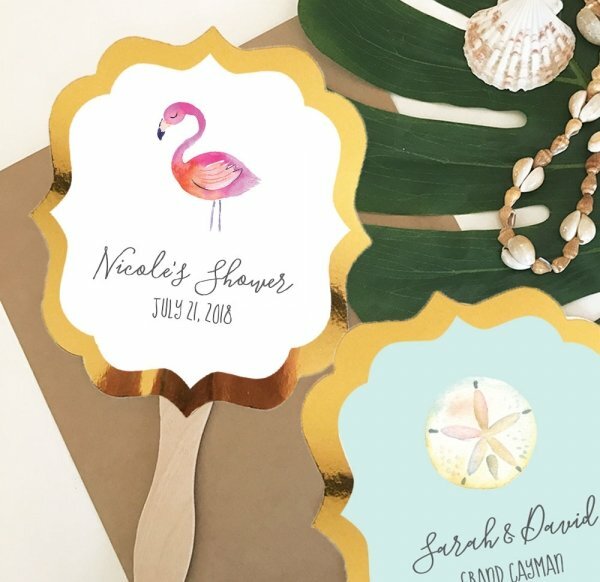 Our Metallic Foil Wedding Paddle Fans are the most stunning way to bring a sense of polished elegance to your beach event. For an added touch of style, dress them up with ribbons or decorative twine. 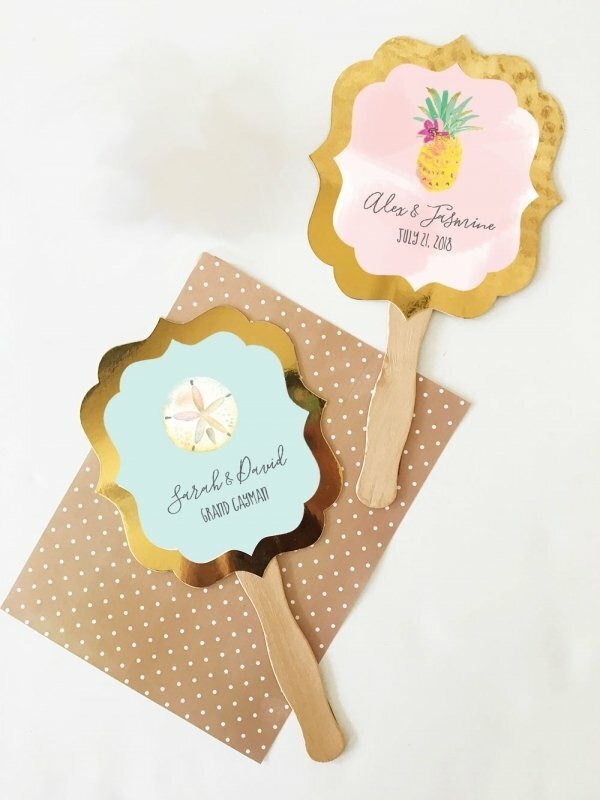 Keep your guests cool and comfortable while accessorizing your fun theme with our classic personalized wedding fans. 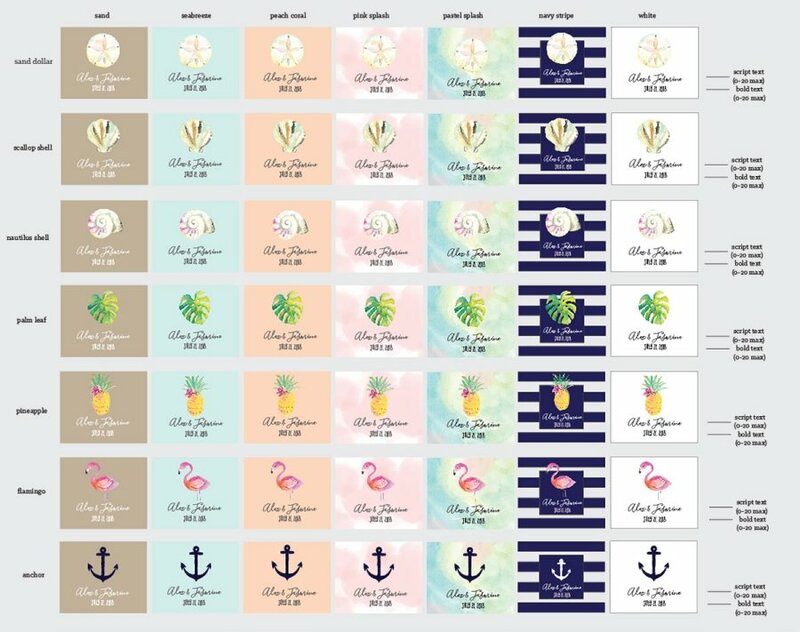 Personalized labels are for ONE side of the paddle fans only. The other side will be white.